The W.L. Seaton Grad 1996 alumni committee has decided to focus its ‘alumni legacy project’ on Mental Health promotion. We need your help and support to make this happen! Mental health affects us all. We were all touched this past spring to learn of the loss of one of our alumni and to learn of his struggle with mental health. We had just started to reconnect as an alumni group, and social media provided us an outlet to share the tragic news, and to express our feelings. Despite 19 years of separation, the comments and stories shared showed our connectedness, recalled our shared histories, and acted as a call to action for many. Now we are asking for your help to create a visible symbol at W.L. Seaton Secondary to show the students there that they are not alone. To create a conversation around mental health, to support mental health programs within the school, to inspire students to reach out to each other, to make a visible reminder for the community that mental health is important and we are going to talk about it. We encourage everyone to share this with all W.L. Seaton Alumni – we are starting the project, but let’s bring everyone together to make this happen! 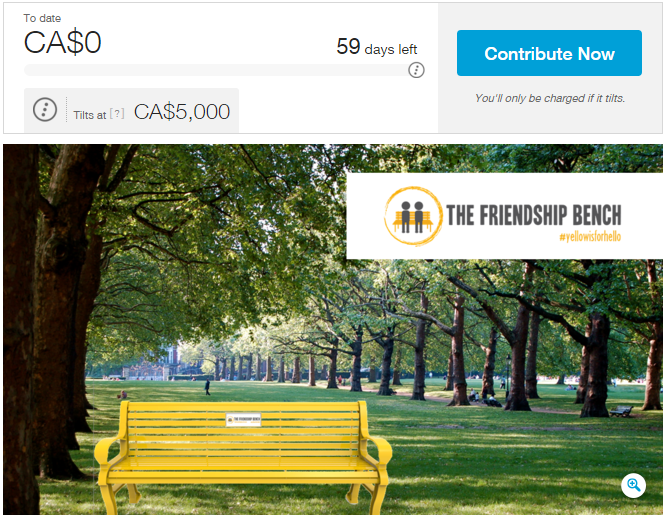 We are attempting to raise a minimum of $5,000 in order to have this student-focused mental health awareness program – including the donation of The Friendship Bench – to W.L. Seaton. Please consider a donation to our alumni legacy project. Any amount, small or large, will allow us to leave a long-lasting legacy at the school so that future generations will hopefully see fewer suicides and cases of mental illness. If we can raise the funds, we will make the official presentation of the bench to the school at our class reunion. The Friendship Bench mental health awareness program is a Canadian not-for-profit organization that seeks to foster peer-to-peer mental health conversations in secondary and post-secondary schools with the goal of ensuring more students ask for – and receive – the support they need from on- and off-campus support staff. 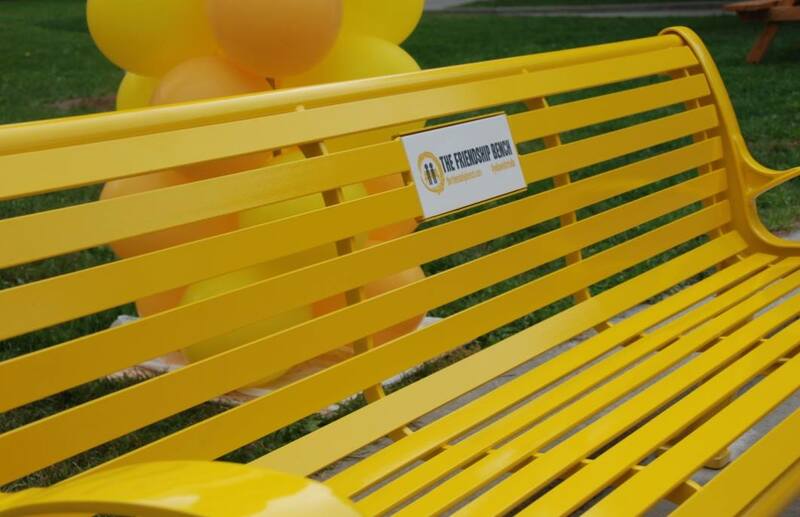 At the centre of this program is a bright yellow bench, which serves as permanent reminder to students to take a moment out each day to connect with friends, to think about their mental health and that of their friends. A plaque on the bench includes a web address that allows students to access a list of available local support personnel and numbers if and when they need to talk to a professional. Further, it draws attention to a year-round digital awareness and education program targeted specifically to Canadian students.